THE DOWNTOWN WINTER GARDEN HOME YOU HAVE BEEN WAITING FOR......4 BED/3 BATH BLOCK BUILT HOME STEPS FROM DOWNTOWN WINTER GARDEN WITH ULTRA LARGE BACKYARD! This home is a mature, well cared for ORIGINAL OWNER diamond awaitingthe expert home shopper to discover the wealth of lot size, location, & interior space at 1923SF under heat and air, and additional utility and laundry room(s) adjacent bedrooms and kitchen for additional knock-out room space, an additional closet, or a 4th bathroom! 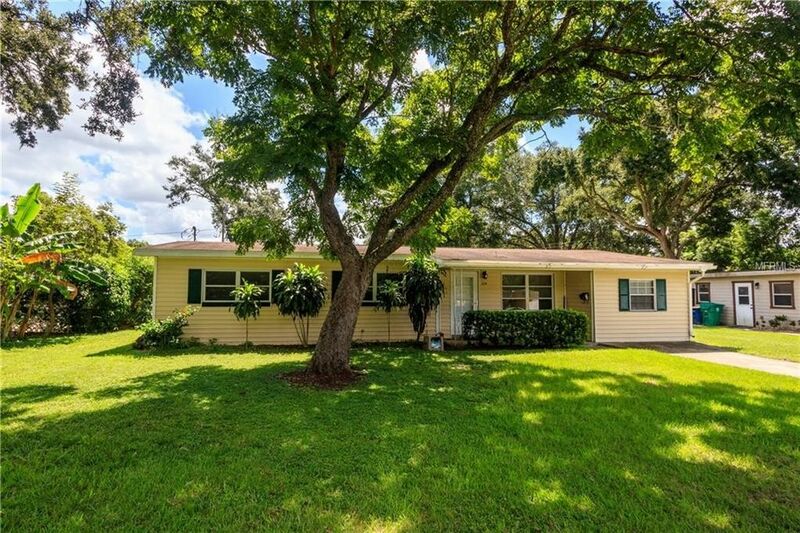 Yes, this home has 3 full bathrooms with toilets, showers, and sinks, --as bedroom #4 has bathroom with toilet and sink and shower stall----as to have 4 bedrooms with each of their own bathrooms is rare in Winter Garden at this price!, at this location, and within the approved GOLF CART DISTRICT. Newbies on this great find are newer A/C system #2, as there are 2 systems-one for master/master bath & dining room, and the other for the comprehensive rest of the home. New stainless appliances in kitchen, and roof replaced in 2010, & newer bath fixtures! Rear yard is LARGE, has a utility storage shed, & is certainly surely large enough for a swimming pool. SOLID BUILT HOME, HAS STOOD THE TEST OF TIME, RAIN, WIND, & MANY A HURRICANE! EVEN A TORNADO----> EXCELLENT STRONG BONES/AND MOVE IN READY! GOOGLE DOWNTOWN HISTORIC WINTER GARDEN/CROOKED CAN BREWERY/& MATHEWS STEAK HOUSE--AS (YES) WE ARE THAT CLOSE!!!!! MLS# o5723938--WARRANTY INCLUDED- RENTAL RANGE INCOME OF $1800--$2200 per month for INVESTORS! Directions: HWY 50 AT DILLARD STREET. HEAD NORTH ON DILLARD STREET INTO DOWNTOWN WINTER GARDEN. HEAD STRAIGHT (N) ON DILLARD, CROSS OVER PLANT STREET THEN RIGHT ON E-TILDEN BEFORE DILLARD ELEMENTARY SCHOOL--2ND RIGHT ON TO VIRGINIA. HOME ON LEFT--225 VIRGINIA.